Have you finally decided you wanted to take your passion for animals to the next level? That’s awesome! You’ve got a highly rewarding career ahead of you! But before you start booking grooming appointments, you need to get some form of training. You can choose to apprentice with a working groomer or go to school (See the pros and cons of apprenticing here). If you’ve decided to go the route of traditional education, you’re already halfway down the road to success! Nobody can argue that going to school to get professional training isn’t beneficial. Unfortunately, this line of thinking usually only extends to brick-and-mortar schools. As a matter-of-fact, you can actually get a thorough dog grooming education online, from the comfort of your home! You’re probably apprehensive about taking your training online—we get it! But the source of your worry is actually due to a bunch of myths surrounding online dog grooming schools. Stick around—we’re going to bust those myths right now! Not all schools are created equal. In fact, you can attend the best dog grooming school in the world and it may not prepare you in the way you had hoped. It all comes down to your own lifestyle and personal learning habits. Not everyone can just drop everything and switch careers. Many people start dog grooming as a second career! Are you juggling a full-time job, a family, other schooling, and a social life? If flexibility is a priority, learning online with a self-paced course might be better for you. The next big consideration is your own personal learning style. If you’re a visual and textile learner, you’ll excel in an online course. You can benefit from endless playback and close-up shots of the grooming process through instructional videos. And you will have plenty of practice with your professional dog grooming kit. More on that later! While technically true, the error lies in the suggestion that you need licensing at all. 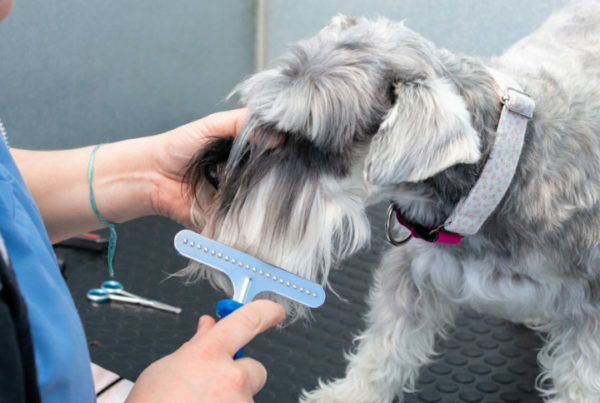 Most regions don’t actually require their groomers to have any formal education or training! That means that licensing is an empty word. Since there isn’t any regulation, “licensing” isn’t a legal requirement. What this means for those researching dog grooming schools online is that it’s totally okay to do your training via distance education. When you find a good course, you’ll learn all about dog anatomy, dog behaviors, and grooming different breeds. The trick is to do your research! Don’t fall for any courses that seem too good to be true—they likely are! Find course overviews and examine what you’ll be learning. A good course will have a balance of both theory and practical assessments. Speaking of practical assignments, this is the biggest myth of all! You can totally gain real, hands-on experience from an online dog grooming course. There are still a lot of misconceptions about the nature of learning online. Online education refers to the platform you use to learn. From reading texts, watching videos, submitting assignments, and receiving your grades—it’s all digital! You will be completing short answer assignments and multiple choice quizzes; however, you’ll also be expected to groom live dogs! You’re expected to find dogs that fulfill many different criteria. With so many breeds out there, you’ll need to practice grooming a variety of dogs so that you can handle every dog that walks into your salon. Without this type of hands-on training, you won’t be ready for the industry. So worry not- all genuine dog grooming certification courses will offer you practical experience! Not only that, your tutor will provide you with personalized feedback on what you did well and where you could improve. In addition to myths about online dog grooming education, there are even more myths about the grooming process. In fact, many novice groomers may carry some of these misconceptions even despite starting their professional training. The key to becoming an expert in anything is education. So we’re going to take you through a couple major myths that need resolving—stat! We first have to bust another myth before we can resolve this one. Non-shedding is a bit of a misnomer! All dogs shed their hair but non-shedding breeds shed very minimally. When you think about dog grooming shows, you’re likely imagining a perfectly shaved Poodle. Even if you’re not grooming them for a conformation show, Poodles (and any non-shedding dog) needs to be brushed, bathed, and cared for. It all comes down to frequency! In fact, drop-eared, non-shedding dogs require extra attention to their ears! Their drop ears cover the ear cavity, often retaining moisture, debris, and dirt. Not to mention the hairs that grow in the ear cavities are susceptible to matting, potentially leading to hematomas. They need to have their ears cleaned regularly and have their ear cavity hairs removed. 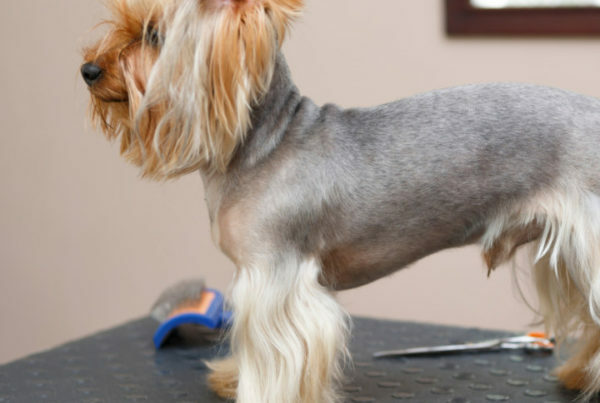 How Successful Can a Dog Groomer Be? This myth is a persistent one. Many novice dog groomers start their careers believing this! Worse, is when they don’t learn otherwise! Taking care of a dog’s skin helps maintain a full, shiny coat and prevents unpleasant skin conditions. Bathing a dog too regularly can strip the natural oils that condition a coat and keep the dog’s skin healthy. But infrequent bathing, especially for active dogs, can lead to a stinky odor. Every dog has different breed characteristics. There is no “one-size-fits-all” solution when it comes to bathing. Smooth-coated dogs generally need fewer baths than hairless breeds. 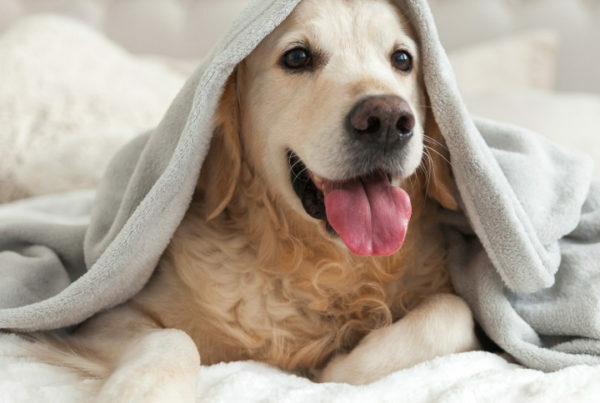 The average dog should be bathed once every 4-6 weeks. Of course, this depends on the specific dog. Some dogs, like the Bergamasco shepherd, should only be bathed 1-2 times a year once their coats have matured! Many owners don’t have the proper tools or training to remove mats prior to the bath or fail to rinse out shampoo properly. This can create or exacerbate skin conditions instead of preventing them. Educate owners that most dogs should have their bathing left to the pros. If they ask how frequently they should visit the groomer, research their dog’s specific coat characteristics. Being specific and detailed with your suggestions can only benefit the dog! Do any other myths come to mind? Let us know! Check out this post for even more dog grooming myths!